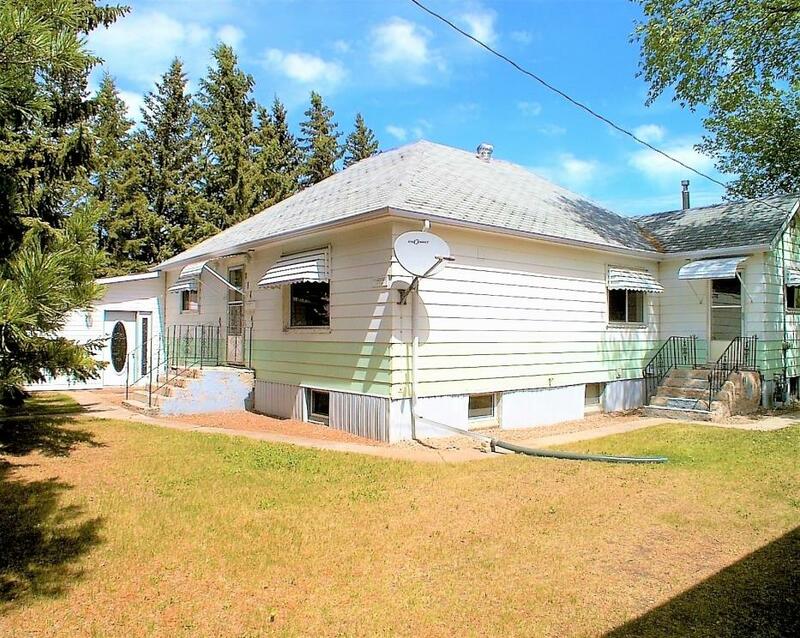 The Opening Bid has been set @ $160,000 plus 10% Buyer Premium with no reserve in place. Firm Advanced Offers will be considered prior to the auction date and also subject to the addition of 10% buyer premium in Canadian Funds. Deposit of $20,000 is required in either cash or certified cheque 24 hours prior to the day and time of Auction. Bidders must have their deposits in place for their bids or offers to be acknowledged. This is an exceptionally well built home. 1967 the home was moved from the farm to the community of Elkhorn. 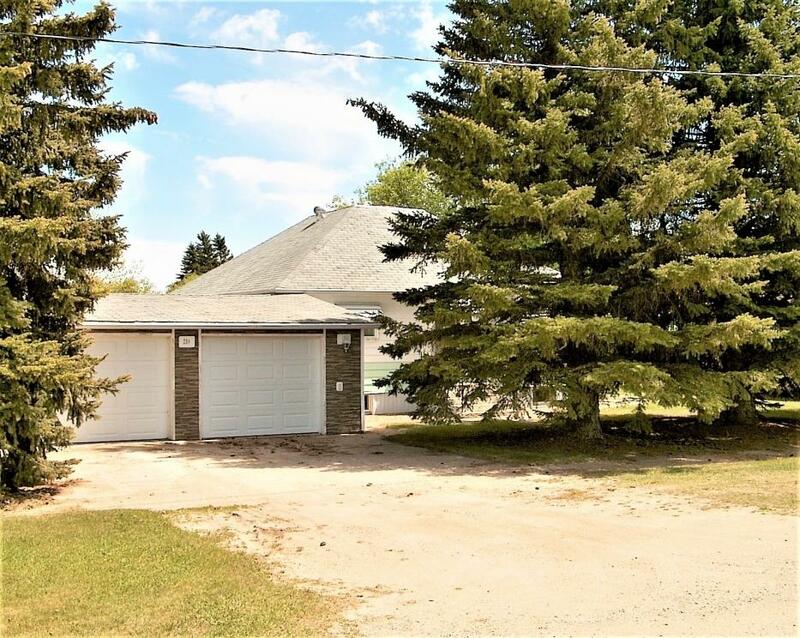 The home is approximately 1536 square feet in size including the rear entrance that is a combination pantry, closet and entrance with patio door and walk in door exiting to the back yard. 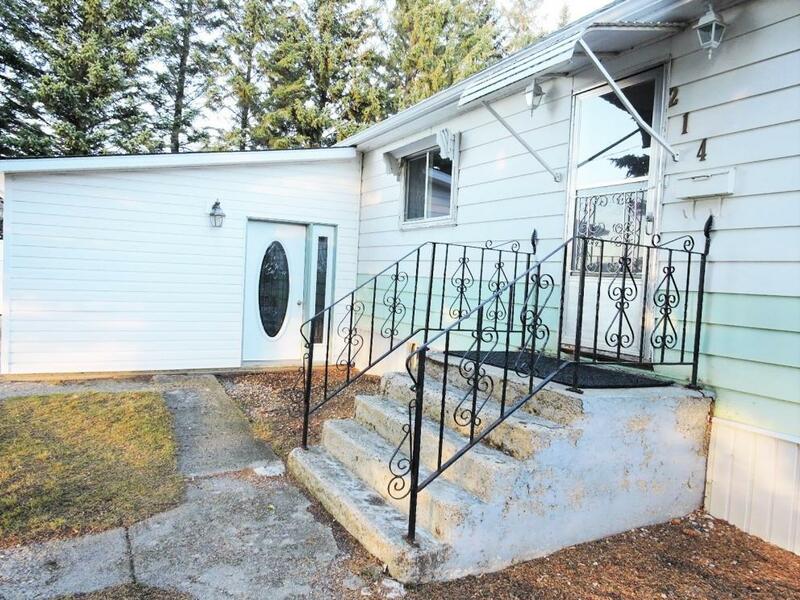 The basement is approximately 1425 square feet as the rear entrance has no basement level. 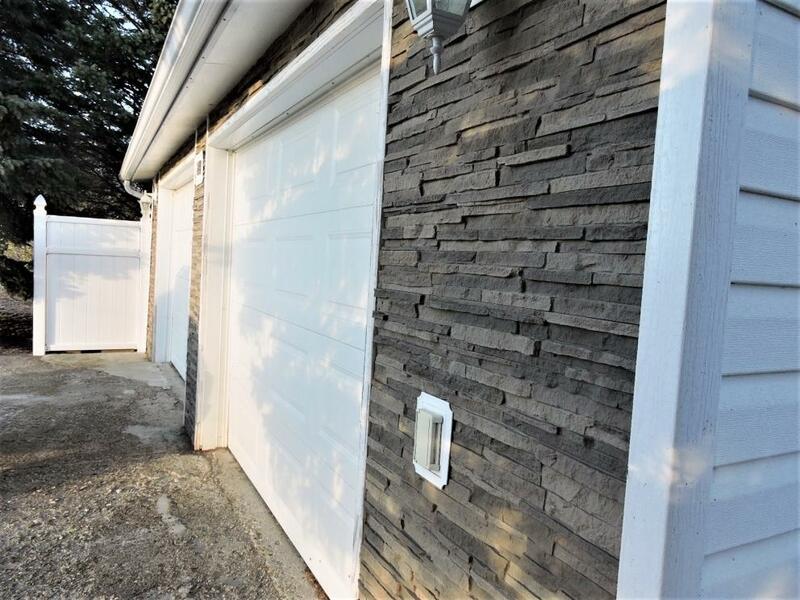 The insulated garage is approximately 676 square feet (26x26) with an entrance into the basement area and a rear entrance to the back yard. 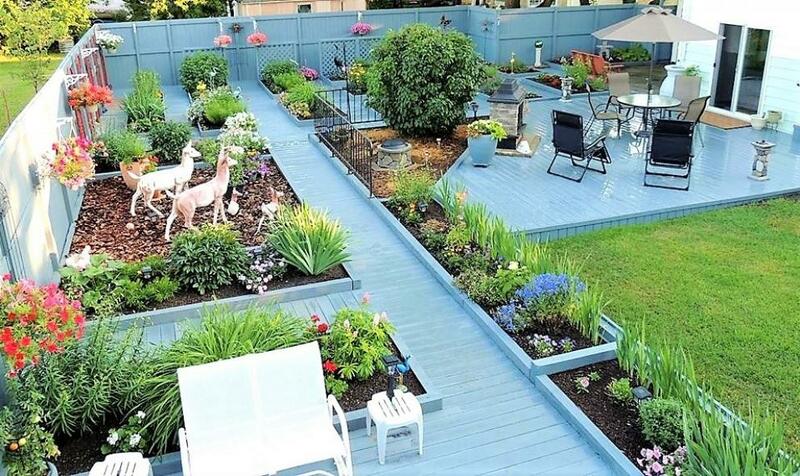 There are three out buildings as well and several decks, gardens, walkways and so on. All of the garden items, hangers, tables, chairs, fire pits etc. shown in the photos are sold and are not included. The decks require some attention as a result of a severe hail storm two years ago. Shingles require changing as well in the next year or two and upgrades to sidewalks, steps etc. to the color choice and pleasure of the new owner. The 1970 paneling has been removed from the basement and ready for development by the new owner. The wide entrance from the garage into the basement area is incredible. The home has a new natural gas mid/high efficient furnace with air conditioning installed within the past three years. The water system has an iron filter, softener and a large electric hot water tank and new pressure pump that was installed in 2017. This home is an incredibly comfortable, warm, solid home that will be enjoyed by a family for many years to come. Note: All measurements are approximate and descriptions are of a general nature. Potential bidders and eventual buyer will base all bidding on their personal inspection. Interested Bidders will need to register prior to the Auction date with a pre-determined certified cheque or instrument of payment as a non refundable deposit “the day prior” to the auction. All deposits and funds will be payable to McNeill Harasymchuk McConnell Badiou, Lawyers Virden Manitoba. Anique Badiou, Lawyer, will represent the owner and SoldOutright Auctions. All instruments of payment for unsuccessful bidders will be returned and only the successful bidder deposit will be retained and non-refundable. The winning bidder will be responsible for all regulatory & transfer costs, the full amount of the winning bid plus the addition of a 10% buyer premium to be added to the winning bid. This property auction is subject to the possibility of advanced bids prior to Auction Day or acceptable offer under the same terms. All legal requirements on behalf of the owner and SoldOutright will be provided by Lawyers McNeill Harasymchuck McConnell Badiou, Virden Manitoba, Att: Anique Badiou J.D. This auction is a combination on-line/live auction or advanced firm offers . Bidders must be registered and provide necessary deposits and information prior to bidding. Please contact for more information. The following are general terms and conditions and can be changed or modified to accomodate any and all Auction Items any /or Real Estate offered by Auction. The property seller reserves the right to accept or decline any or all offers or bids online or in writing. All acceptable final bids within this auction will be considered as a firm commitment to purchase and require final the approval of the property owner/seller in regard to final bid, and any extenuating terms and conditions. Note: Buyer Premium of 10% will be added to the winning bid, accepted offer or buy now purchase, plus any costs for packaging, shipping, handling, insuring or any and all unforseen costs including additional payment costs of credit cards or any other payment instruments.